It's been eight years since Stone Temple Pilots released their eponymous album, and much has happened since, so let's do a quick summary: for starters, beloved vocalist Scott Weiland was fired from the band, sued for rights and settled out of court with the DeLeo brothers and Eric Kretz, and later died. Chester Bennington then did a brief stint as their new vocalist before departing to focus on Linkin Park and also passing away shortly after. Then the band conducted an online campaign to audition for a new lead singer, which resulted in X Factor Season 3 runner-up Jeff Gutt (ex-Dry Cell) getting the job. Wow. Quite some drama, huh? Nonetheless, it has resulted in yet another eponymous album release, which we'll discuss here. So let's start with the obvious: Jeff Gutt. Scott Weiland's shoes are pretty big to fill, comparable to replacing Chris Cornell in Soundgarden, Eddie Vedder in Pearl Jam, or Layne Staley in Alice In Chains. Quite a lot of pressure to replace a grunge legend, that's for sure. But longtime fans of Stone Temple Pilots will be pleased to discover that Jeff Gutt does a formidable job in channeling Scott Weiland style grunge rock in his expression. He's energetic, upbeat, sounds cheerful and even playful at times, echoing the beloved 90s grunge/rock'n'roll so convincingly that one could imagine him having fronted any one of the Seattle based bands during the genre's heyday. 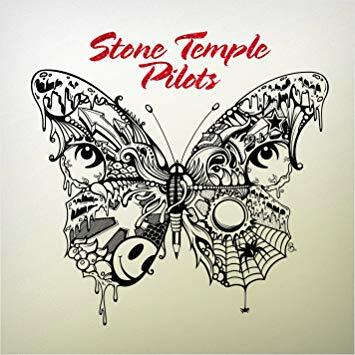 He also brings in some Eddie Vedder influence, and as a result, "Stone Temple Pilots" sounds like the 90s never disappeared, just the way we like releases by this band to sound like. Full of rock star charisma, attitude-driven vocals and groovy guitars supporting infectiously catchy chorus melodies. Let's take "Guilty", for instance. This song is a banger with a melody so reminiscent of their 90s sound that you'd be forgiven to think it's still Weiland's pipes driving the song. The same applies to "Meadow", which features an infectiously catchy grunge chorus, funky guitars and plenty of pedals for good measure. Fans of their heavier side will also find the chunky "Roll Me Under" staying true to the band's original sound. 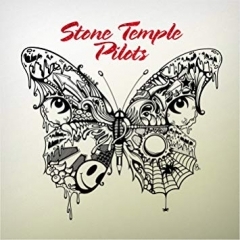 Considering all the drama this band has gone through, it's a satisfying surprise to discover that "Stone Temple Pilots (2018)" is a solid rock'n'roll album. It carries one of those sounds that's so timeless it feels good straight away no matter how many years have passed since grunge was deemed 'relevant' by the critical music press. Just take a listen to the upbeat "Never Enough" and you can easily be convinced grunge is alive and well. That said, the one criticism I do have for this album is the acoustic numbers scattered in between the distorted tracks. They're you're dime-a-dozen ballads that don't really do much other than act as filler on the record. Still, the record is predominantly consisting of strong material, so a solid score should be awarded as a result. And let's just re-state it here: Jeff Gutt does a fantastic job in replacing Scott Weiland in a faithful, spirited manner.